Any Chargers fans out there? 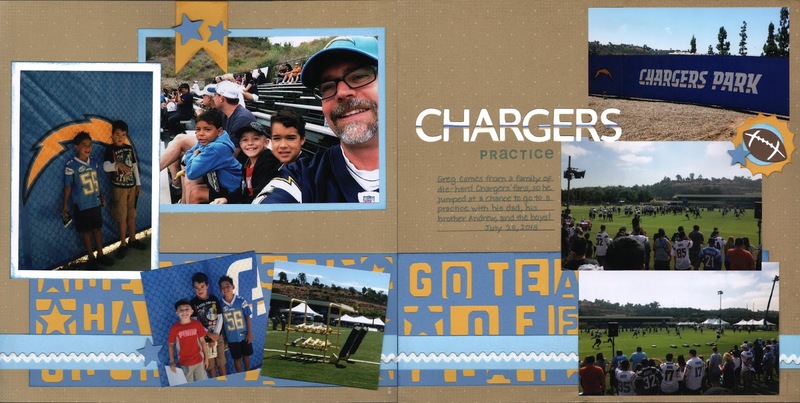 My hubby comes from a family of die-hard Chargers fans, so he jumped at the chance to attend a practice down in San Diego. I'm not a big sports fan, but I did enjoy putting this page together. I used lots of Cricut cuts and a basic background to create the layout, and I even managed to get a little stamping in there. Go Chargers! 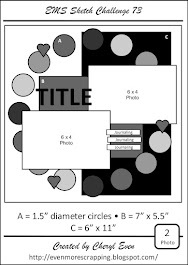 Challenges: Heart 2 Heart's NSD challenge = create a scrapbook layout - easy! Great layout! The sports themed Cricut cuts add just the right embellishment. It looks like your family had a wonderful time! Thanks for sharing with us at Heart 2 Heart! Love this sporty, masculine layout! Sadly I am not familiar with your team as I am in New Zealand, but it looks like you had a great time! 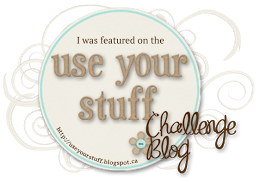 Thanks for sharing with us at H2H challenges. I love sports themed pages, great layout! Thanks for sharing with us at Heart2Heart! Love it! Chargers fan here too! Go Bolts! I love how you brought this together, amazing job! Thanks for playing along with Heart 2 Heart Challenges (H2H)!